Early October and it is raining a lot. That doesn’t stop us from going on our daily scuba dive- and snorkeling tour. 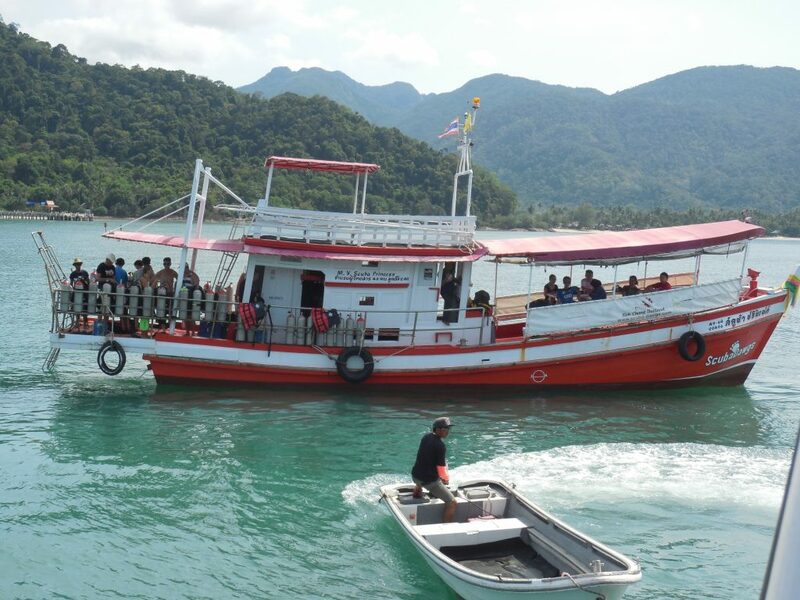 Often the weather out on the sea is much better than on Koh Chang island itself. Also pool practice in the custom build pool in our Cliff Cottage resort continues despite the rain. 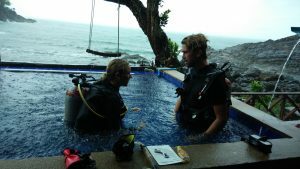 People that take a RAID or PADI course with us, enjoy 2 nights free basic accommodation in Cliff Cottage resort. 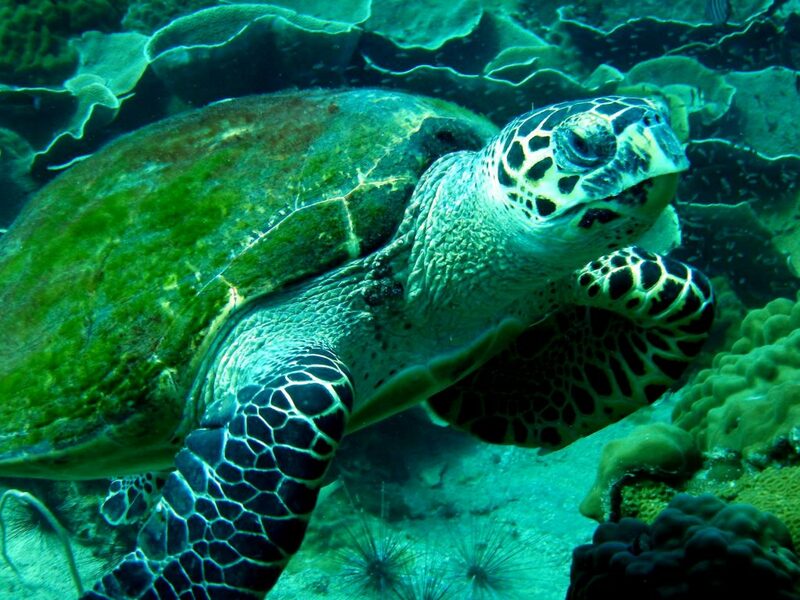 (not between 15th of December and the 12th of January) You can of course also upgrade to a large airco room or a cozy cliff top bungalow with views over the Gulf of Thailand. 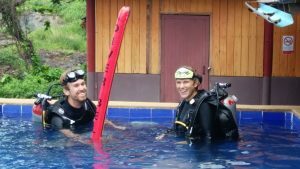 We had our first ever Icelandic man that did a RAID course with us. 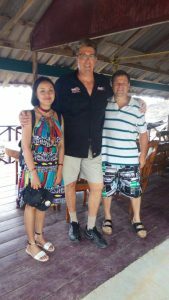 He booked for 3 nights in a cliff top bungalow and stayed 8 nights because he and his lovely Thai partner could not get enough of the serenity, tranquility and peace that are the hallmarks of Cliff Cottage resort.